The Niagara by Karoleena is a modern, single level prefab single family home. 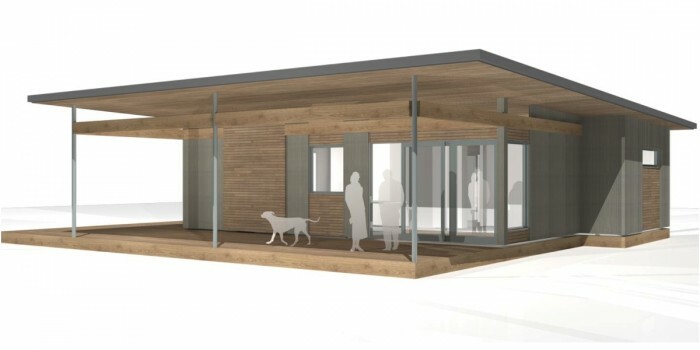 This small home offers large covered deck space, open living space and two bedrooms and a single bathroom. 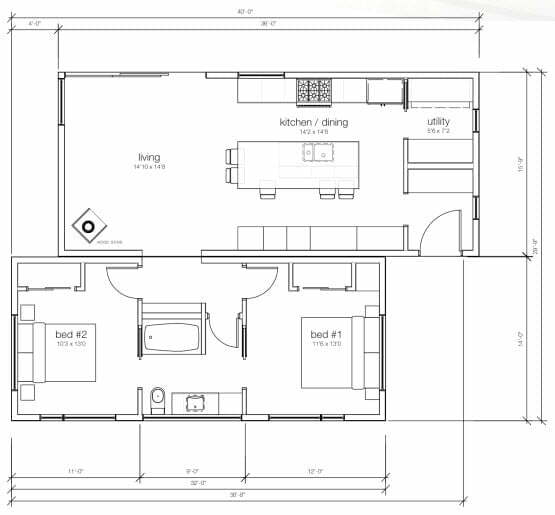 The interior plan of the home features open shared living, kitchen and dining room space with central kitchen island.